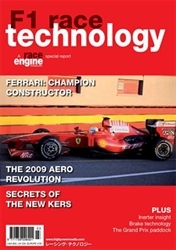 Volumes 1 - 12 of F1 Race Technology. Issues 1 - 12 delivered immediately. This offer saves you 20% over buying the issues individually! Please click "Details" to see the full contents of each issue. Highlights in this issue include a conversation with Mario Isola, a dossier on the Toro Rosso STR 13 and an update on Force India. A technical review of formula one 2018 as well as insights on the Halo, machining and composites. Click 'Details' for full contents. 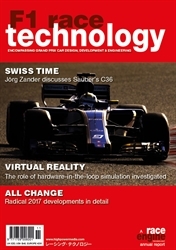 Highlights in this issue include a conversation with Steve Bryan, AP Racing's Formula One trackside man since 1984, an insight into modelling and simulation, a dossier on Sauber and digest on Toro Rosso. Please click 'Details' for full contents. Highlights in this issue include digests on the Renault R.S.16, the Force India VJM 08 & 09 and the Manor Racing Team MRT05. Insights into aeroelasticity and computing in F1, tech reviews on F1 2016 & 2015 as well as a focus article covering brake systems. Please click 'Details' for full contents. 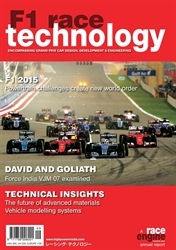 Highlights in this issue include technical reviews on power units, Formula One 2015 & 2014. Insights into dampers, modelling & simulation as well as a profile on the Force India VJM 07. The paddock movers & shakers as well a focus article covering advanced materials. Please click 'Details' for full contents. 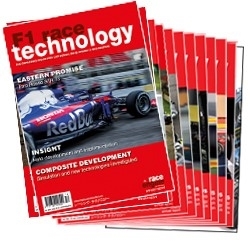 Highlights in this issue include an insight into CFD and a tech review of Formula One 2013 & 2014. 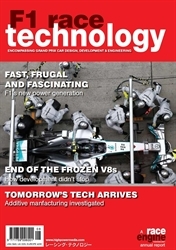 As well as focus articles covering sensors and ALM. Please click 'Details' for full contents. 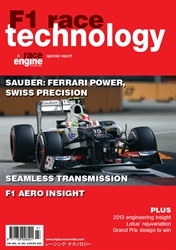 Highlights in this issue include insights into the Sauber C31, the Lotus E20, the Williams FW34 and the Force India VJMO5. 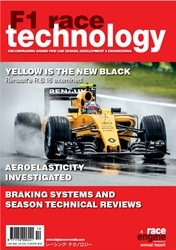 As well as a review of 2012 and focus articles covering transmissions and manufacturing. Please click 'Details' for full contents. 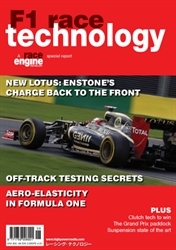 Highlights in this issue include Insights into Formula One Aero, Lotus F1 tech and AP Racing clutch development and Focus articles covering Off Track Testing, Suspension and Braking. Please click 'Details' for full contents. 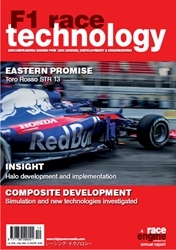 Highlights in this issue include Insights into Toyota's F1 wind tunnel technology and the 2010 Red Bull-Renault and Focus articles covering Brakes and Advanced Manufacturing Technologies. Please click 'Details' for full contents. 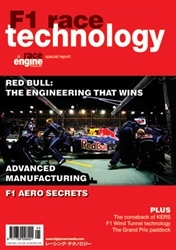 Highlights in this issue include Insights into Brakes, Data Acquisition and Wind Tunnel technology plus a Special Investigation inside Red Bull. Please click 'Details' for full contents. 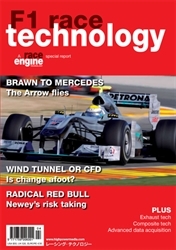 Highlights in this issue include Brawn GP and Ferrari Insights. Other Insights include KERS, Brakes, Advanced Metals and the Inerter. Please click 'Details' for full contents.